Two Bacon Pretzel Dogs For $4 At Philly Pretzel Factory July 8th Only! 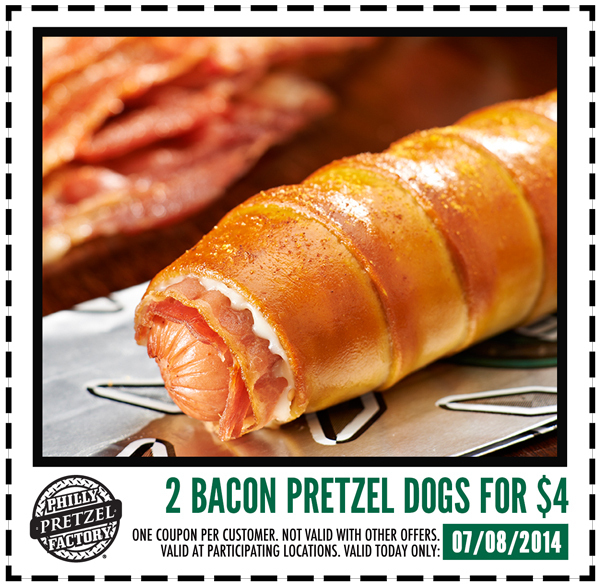 Click here to get a printable coupon for 2 Bacon Pretzel Dogs for $4! This offer is good at participating Philly Pretzel Factory locations on Tuesday, July 8th only.